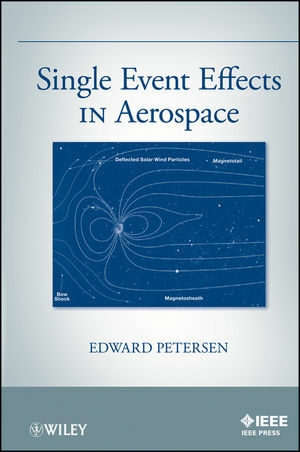 This book introduces the basic concepts necessary to understand Single Event phenomena which could cause random performance errors and catastrophic failures to electronics devices. As miniaturization of electronics components advances, electronics components are more susceptible in the radiation environment. The book includes a discussion of the radiation environments in space and in the atmosphere, radiation rate prediction depending on the orbit to allow electronics engineers to design and select radiation tolerant components and systems, and single event prediction. EDWARD PETERSEN, PhD, worked for the Naval Research Laboratory from 1969 to 1993. Since then, he has served as a consultant. Dr. Petersen's research has focused on estimating upset rates for satellite systems. His work has shown that measurements of space upset rates are consistent with predictions based on laboratory experiments. He has authored or coauthored sixty papers on radiation effects, the majority dealing with single event effects. An IEEE Fellow, Dr. Petersen was the recipient of the IEEE Nuclear and Plasma Sciences Society Radiation Effects Award.